The short answer is YES, this is still the BEST muffin recipe ever. 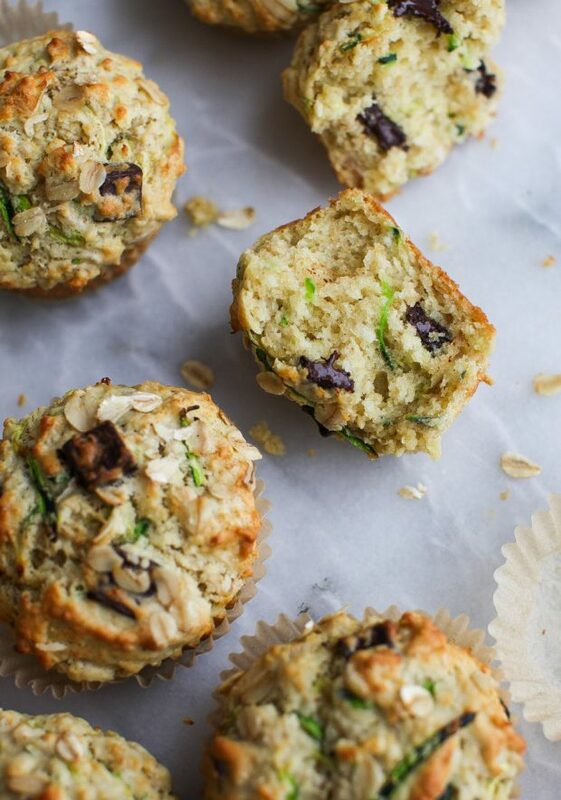 Not only is this claim substantiated by the comments section of the original post, but this comforting baked good is still our No 1 muffin recipe in the Simple Bites kitchen. The kids and I are seldom tempted to try anything new, because muffin-baking can be fraught with problems. Who wants to risk dry, flat hockey pucks when we know my recipe never fails to deliver moist, flavourful muffins? 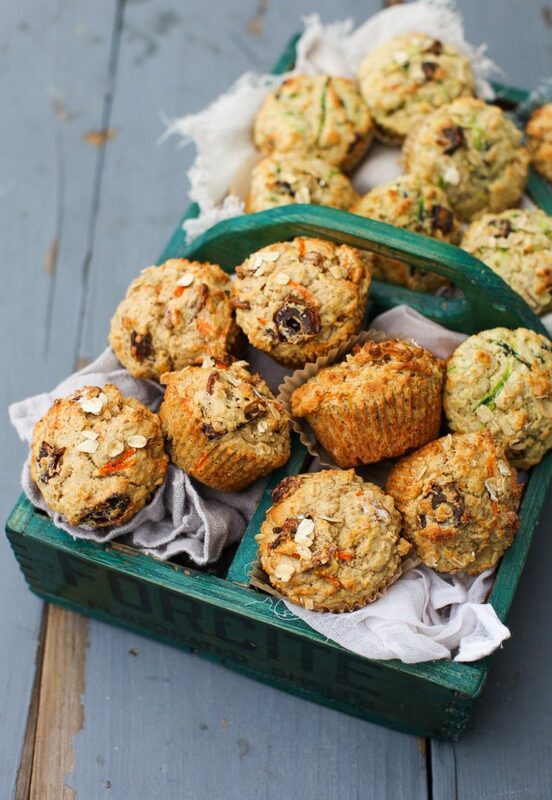 I love that my little ones still get terribly excited when they smell these muffins baking – and I do to! And just what makes them so good? 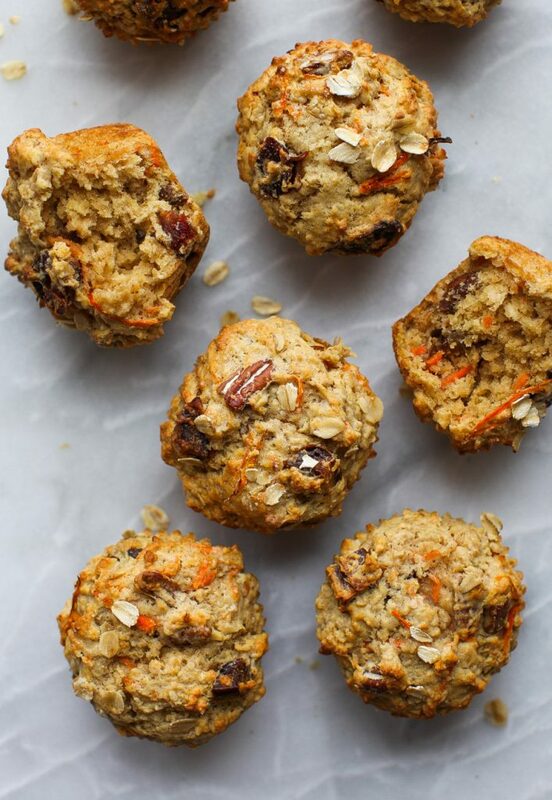 Oatmeal gives them a wonderful texture that isn’t cakey and buttermilk makes them light as air. They have a hint of cinnamon and nutmeg and are just sweet enough without straying into cupcake territory. They boast a slightly crunchy top and a moist interior that doesn’t fall apart to bits. However, the real appeal of this recipe is its versatility. 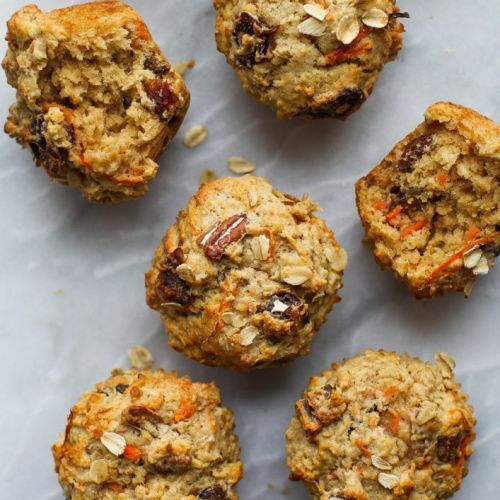 I gave you a base oatmeal muffin recipe that can happily accommodate almost any add-in you like, and believe me, with three selective eaters around my table, I’ve tried quite a few variations. At the end of the post I’m sharing our two favourite flavour combinations: Carrot, Date & Pecan Spice, and Zucchini Chocolate Chunk with Ginger. 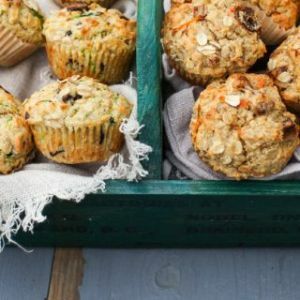 I love that you all went wild with your muffin add-ins, and that you also took the substitutions to the next level…Dairy-free, gluten-free, nut-free, Paleo, whole-grain, sugar-free – the substitutions made have been endless over the years and each time a reader has come back to enthusiastically report on their success. Read through the recipe completely before beginning and gather your ingredients to bring them to room temperature, eggs, milk, etc. Take care not to over mix the batter; use a flexible spatula to gently fold ingredients together. Batter should be stiff enough to hold a spoon upright; if it seems runny, gently fold in an extra tablespoon of flour. Use the freshest spices as possible when they are required. Grease the entire muffin tin, not just the holes. More often than not, the muffins expand over the sides, and if those sides have not been properly greased, you’re going to run into trouble when you try to remove the muffins. Fill muffin tins three-quarters full; the tops are the best part, so don’t be shy with the batter. Give them a special topping (for texture and taste) before they go in the oven: rolled oats, coarse sugar or a decadent streusel. Take care not to over-bake the muffins. The tops should spring back lightly when pressed. Allow muffins to cool in the pan at least 5 minutes before removing them, especially if they contain soft fresh fruit. Enjoy them on the same day they are made. If you must, freeze them, and reheat them in the oven for that freshly-baked taste. Here is your base recipe, printable for the first time. It is slightly adapted from my original recipe. I now make 9 or 10 slightly larger muffins instead of 12, but if you are baking for a toddler and want a smaller muffin, go ahead and make 12. The best muffin recipe ever. Be sure to read the recipe through first. Note that the oats must soak for a minimum of 1 hour before proceeding with the recipe. Combine milk, vinegar and oats in a large bowl and let stand for one hour. Preheat the oven to 375°F and place the oven rack in the centre of the oven. Grease a muffin tin and line with 9 cupcake papers. Crack the egg into the oat and milk mixture; add sugar and mix to combine. Stir in melted butter. Sift remaining ingredients into the bowl: flour, salt, baking powder, baking soda, & spices. GENTLY fold into batter, taking care not to over mix. Sprinkle the add-ins of your choice and fold them into the batter with a few strokes as possible. Using a large ice cream scoop or 1/3 cup measuring cup, scoop batter into muffin papers. Top with a few raw rolled oats and a sprinkling of sugar. Place muffins on the centre rack of the oven. Bake until light brown and tops spring back when gently touched, about 10-12 minutes. Note: Muffins will take slightly longer to bake if you are adding fresh fruit such as blueberries or grated vegetables. Remove muffins from oven and cool in tins for 5 minutes. Lift out and cool on a wire rack. 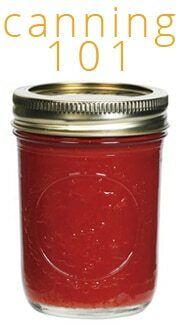 Enjoy warm on the same day they are made or freeze for up to 3 months in an airtight container. 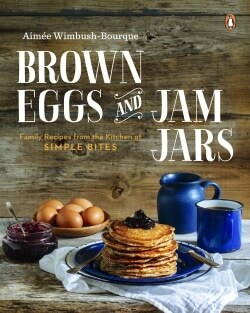 If I have it on hand, I'll use buttermilk in place of the milk + vinegar in the recipe. It's a wonderful flavour boost. Here’s a list of add-ins that I have tested with this base oatmeal reacipe – all with fantastic results. Feel free to make the recipe your own and use add ins you have on hand. Below are two variations that I stick to most of the time. 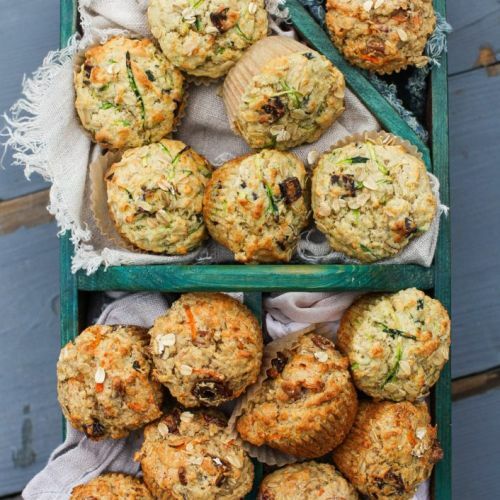 The carrot muffins are for wintertime and the zucchini is our go-to for the summer months. The perfect winter muffin - hearty, tender, with bursts of sweetness, thanks to the dates. Sift remaining ingredients into the bowl: flour, salt, baking powder, baking soda and spices. GENTLY fold into batter, taking care not to over mix. Sprinkle in the grated carrot, dates and pecans. Fold the add-ins into the batter with a few strokes as possible. Using a large ice cream scoop, scoop batter into muffin papers. Top with a few raw rolled oats and a sprinkling of turbinado. Place muffins on the centre rack of the oven. Bake until light brown and tops spring back when gently touched, about 12-14 minutes. Remove muffins from oven and cool in tins for 5 minutes. Lift out and cool on a wire rack. Enjoy warm. Crack the egg into the oat and milk mixture; add sugar and grated ginger and mix to combine. Stir in melted butter. Sprinkle in the zucchini and chocolate; fold them into the batter with a few strokes as possible. Happy Baking! 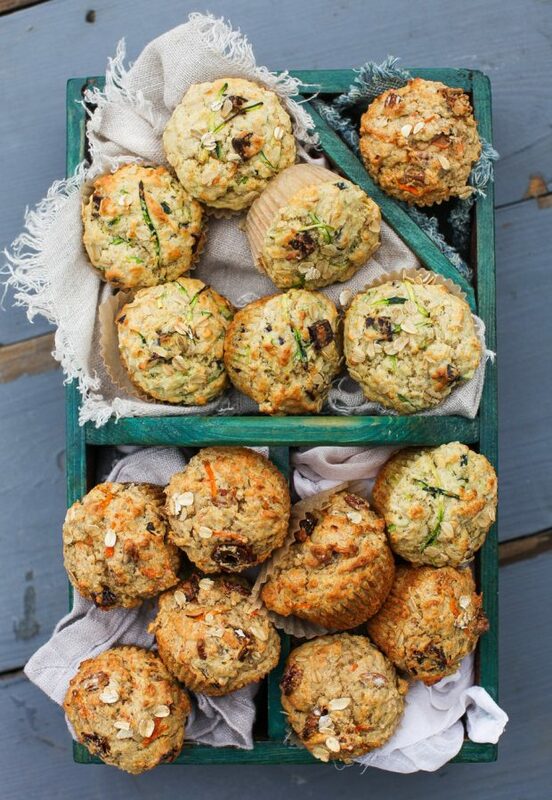 Let’s bring fabulous muffins back, one batch at a time. Would 1 for 1 GF work for the flour? 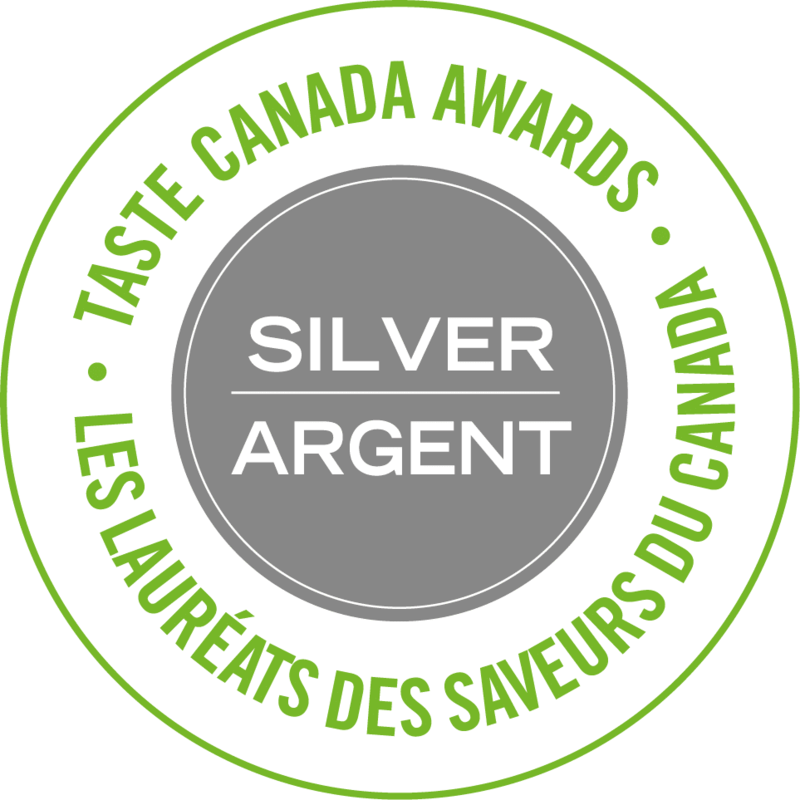 Hi Marguerite, I haven’t played around with GF flours, but my readers have in the original post and I believe it works very well. Happy Baking! I quite agree, Ariel. I love having them in the freezer for after school snacks. 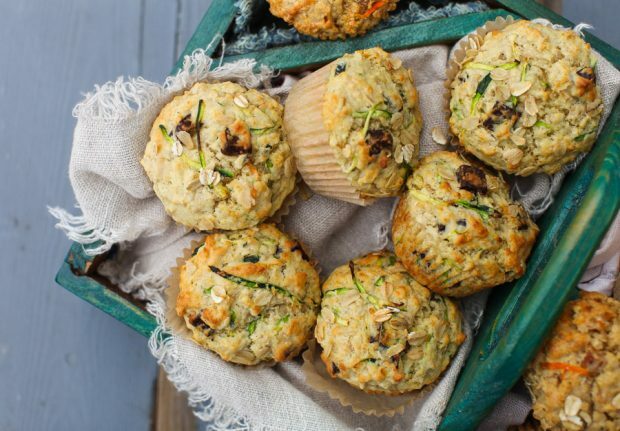 Thanks so much for writing about these muffins again – they are a family favourite from way back – since your original posting! I am looking forward to trying the zucchini variation and I am wondering what you mean by dried ginger in the recipe. Is it the usual ground ginger from the spice aisle, or something different? 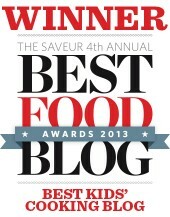 Thanks for continuing to give us great inspiration to provide tasty, healthy food for our families. Hi Sherry, I’m thrilled you’ve been baking these muffins for so long. Yes I do mean ground ginger. Sorry for the confusion. Does this recipe “double” well? They look delicious! You bet!! I’m nearly always doubling up. How many calories die these muffins contain? Still our favorite ever! A batch of these muffins used to last us the weekend, but we’ve added a couple more kids since you first published it, so now they’re gone after breakfast. Our standard mix ins are 3/4 cup shredded coconut and 1/2 cup chocolate chips. Love the idea of sprinkling a few of the mix-ins on top to for a special touch. My boys and I baked these today, using up some blueberries from the fridge. They were SO good! Aw Jessica – thanks so much for coming back to let me know. I’m thrilled that your boys helped out. Here’s hoping this is a family favourite for years to come. Lucy you!! I’m thrilled to have inspired a bit of snow day baking. What fun. Jan- so happy to inspire! I’d love to see which direction you take them. 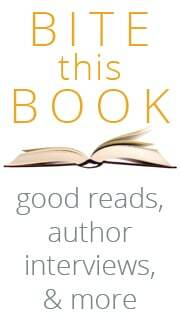 This is the recipe that introduced me to your site and has kept me coming back. This really are the best muffins ever. Favourite add ins over here include the raspberry and dark chocolate but also pumpkin with chocolate chips and blueberry with sliced almonds. Thanks for the re-post! I am excited to try this recipe and was thinking about adding pumpkin, which i see you did! Was it successful being that pumpkin is so wet? Did you alter the recipe at all for adding puree? I got out my mixing bowl this morning and made up another batch with the pumpkin. I used a pie pumpkin which I had previously roasted to make puree and frozen then defrosted. I believe this is not quite as wet as the canned pumpkin you can buy at the store. I usually swap in whole wheat flour for the all purpose and I added an extra 1 Tbsp as suggested in the intro notes to ensure a spoon could stand upright in the batter. I used 1 cup pumpkin puree and just under a half cup of chocolate chips for a single batch. I also baked for 18 minutes. My other versions usually take about 16 minutes. They came out wonderfully once again so I would encourage you to have a try and let us know how they turn out! Super helpful, thank! I plan to try these this week, so I’ll let you know. Any experience making them dairy free? I’ve made them dairy-free several times using almond milk and canola oil in place of the milk and eggs. Turned out well! I’m eager to try these with my kids. 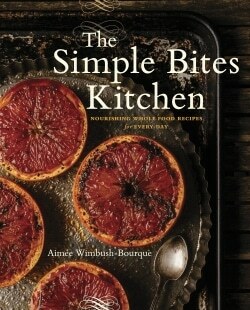 I’m sure they will be delicious as both Simple Bites cookbooks have become staples in our household. Is there a way to incorporate leftover bananas? We’re always looking for delicious and kid friendly recipes at the end of each week to incorporate the last couple of stragglers of the bunch. Followed your recipe exactly to get a perfect texture and crumb. I’ve made this recipe over half dozen times since I discovered it a month ago. I used fresh ground wheat flour instead of all purpose and it turned out GREAT! We’ve tried out different mix-ins: raisins and frozen blueberries and raspberries. All good.